For the seventh year in a row, ESPN ranked who it believes will be the top players in the NBA for the 2017-18 season. The top 10 was revealed on Friday, and quite unsurprisingly LeBron James came out on top. 2017 NBA Finals MVP Kevin Durant was ranked second behind James, and 2016-17 NBA MVP second runner-up Kawhi Leonard came in third. 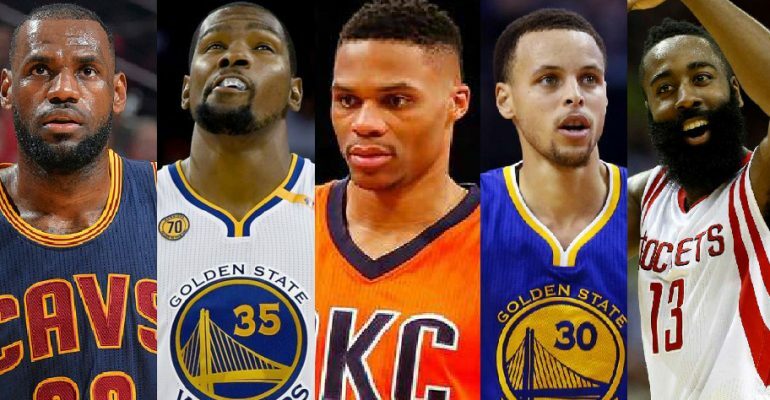 Behind them, Stephen Curry came in at fourth, and reigning MVP Russell Westbrook was ranked fifth. James’ dominance over the league is truly historical. His last MVP Award came in 2013 but he could have arguably won it multiple times since then. With Kyrie Irving‘s departure, the Cleveland Cavaliers will have to depend on James even more this upcoming season. It’s possible a fifth MVP campaign could be on the horizon for The King.